One nerdy pastor's proclamation, examination. and defense of the Great Eucatastrophe. Today's sermon has a narrative style to it; it's written as a phone conversation between two Christians discussing thanksgiving and includes occasional third party quotations, some are direct quotes, while others are relayed messages. The discussion revolves around thanksgiving, the Gospel reading for today, and Christ's work for us. Keep in mind this is a rhetorical device. I pray you find it edifying. "What do you give to the guy who has everything?" "Hmm, what about a custom designer, fancy name-engraved Starbucks mug, a stunning cup fit for a kingly size venti, Arabica bean…wait, what's that?" "He says He's already got one." "What do you mean, He's already got one?" "Yea, and He says it's better too." "Ok, time to up the ante…how about a diamond studded Rolex– and not one of those knock-offs from Tijuana?" "No that won't do, He's always going on about the fullness of time and such; guess he just doesn't like watches." "Well, let's see. Time to think big. A luxury SUV…the best Orange County can offer, Australian leather seats, his and hers climate control, satellite radio, GPS – all the bells and whistles. Wait, what's that? He still says no? What, He's got one of those too?" "Well, no, but he prefers walking and something about four legged domesticated animals of the humble variety…and he really got a good chuckle out of the climate control and the GPS." "Seriously, who does this guy think He is? What can I possibly give Him? I can't think of anything. There's nothing I can do to please this guy." "He says that'll do perfectly." "What'll do perfectly? I haven't even given him anything yet." "What do you mean exactly? That makes no sense. I'd better do something or else. Isn't there anything I can do?" "He wants nothing from me? Zero? Zip? Zilch?" "O wait, there is one thing…"
"Ah, finally. What is it? This guy is really trying my patience. Tell me already, what must I do?" "He says you can give him your disease." "My what? You're kidding right? I'm not even sick. 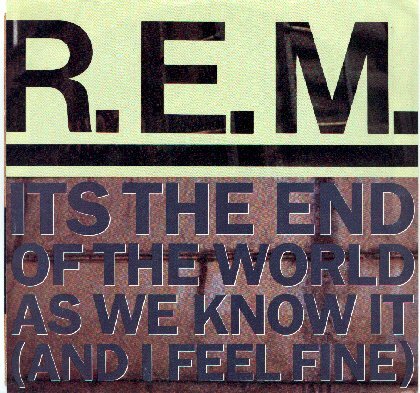 I feel fine. Now those 10 lepers. They had it bad. Skin falling off. Outcasts. What losers. Crying out for mercy, looking all pathetic. And only one of them - the double Loser Samaritan - even bothered to go back to Jesus and say thank you. Come on? What's up with those other 9?" "He says don't worry about them. You're the one with the problem." "Wooo, wait a minute. First of all, why not? Those lepers were pretty bad, the least those skin-shedding leeches could've done was go back and say thank you. Is it really that hard? I would've at least scribbled a quick "thank you" card or a sent a text…thx J! And what's this about me being the problem? Those other guys are the problem. Remember? I feel fine, great in fact, as long as dinner is on time. Is that turkey ready yet?" "Well, He said something about missing the point. And the only words I could make out were: unconditional, outrageous, free." "What are you trying to say, huh? I know how the story goes…Lepers cry for mercy. Jesus heals the lepers. One returns to give thanks. His faith is commended. Now, you go and do likewise. Isn't that it?" "No, not at all. He said try reading Luke again: "As Jesus entered a village He was met by 10 lepers, who stood at a distance and lifted up their voices saying, Jesus, Master, have mercy on us. And when He saw them, He said to them, "Go and show yourselves to the priests…and as they went they were healed along the way." …So, did those lepers heal themselves?" "Did they do anything to deserve their healing?" "Well, no. But the one returned to give thanks…that's gotta count for something, right?" "Hold on a second; you're getting ahead of yourself. You don't start by giving thanks, that's putting the turkey inside the stuffing." "Well, ok, that doesn't make any sense, now does it? Come to think of it…neither does Jesus healing those 10 men. The first mistake He made was going to hang out with those nasty sick people, who does that anyway? Didn't His mother teach him to stay away from lepers? And then He goes and just up and heals them willy nilly. And look at all He got in return…only one lousy Samaritan said thanks. You can't go around recklessly, freely giving out gifts and healing everyone who has diseases. There's gotta be some kind of limit on this madness. Standards! Criteria! This is an outrage. Why, if He keeps this up all the sick people are going to be healed and all those guilty – oh I can't even bear to say it – sinners will get off scot-free." "Now, you're beginning to understand." "But that makes no sense. Who would give a gift – like healing or salvation - and not expect anything in return?" "Come on. There's gotta be a catch. There's no such thing as a free lunch." "That's where you're wrong. He said to tell you everything is given by Him and this is the only free lunch, and it's more like a big fat heavenly wedding feast than a subway sandwich – a feast of rich foods and fine wine…cups brimming with salvation…come, eat and drink without price. Feast on my forgiveness." "Sounds like gluttony to me." "This giving sounds like risky business." "It is, Jesus' gifts often go unappreciated. Even abused and sadly, rejected." "Sounds like He'd be better off not giving at all. Safer that way. At least He wouldn't be disappointed by people's lack of thanks." "Perhaps, but Jesus takes the risk. He sets no conditions. No pre-healing interviews to see who deserves healing. No surveys to see who is worth dying for. He heals all 10 and then He's off to Jerusalem to forgives the whole world." "Wow, that sounds great. But that'll lead to chaos…no one will do anything. There must be rules. Can't he just give me a to-do list?" "But don't you see, that's not love, that's not even freedom; it's a new slavery." "So, I can sin that grace may abound, right?" "By no means. But let me ask you this: if you do sin more, will Jesus forgive you?" "It sure sounds like you're trying to tell me that Thanksgiving is not about my thanksgiving at all." "And I can't do anything to earn God's love? No gifts I can give Him? No life I can live for Him?" "Right. And stop making yourself the subject of the sentence." "Sure, whatever, but you're absolutely sure? There's nothing…not even a little bit?" "That's right; He's given you everything…take it from Him; He's the expert on giving." "But this is Thanksgiving! I thought the least I could do was go to church (and I went twice btw just to show how thankful I am), tell God how I thank Him for my Xbox I love so much and how I thank Him for my clothes that impress all my friends and how I thank Him and how I praise Him and how I give everything I have to Him." "But you haven't told me anything about God yet." "Sure I have…I just told you all the things I'm thankful for." "He says that's part of your problem." "So, I shouldn't give thanks?" "No. Giving thanks is good…but that's the wrong place to start, remember? He also says your grammar problem hasn't gone away. Too many personal pronouns. Cut it out." "Boy, this guy has a lot of nerve! I don't use too many personal pronouns in my sent…o wait. I see now. Oops, did it again!" "He says that's a common problem with us." "Are you trying to say I'm more like those 9 losers than I am the Samaritan? Are you trying to tell me that when I give gifts I'm only thinking about myself, what I'll get in return, how good it will make me look before my neighbors and God of course?" "Yes, now you're hearing clearly." "But how else will He know I love Him?" "He said to say, I don't need your thanks and praise; that's your problem. You think you have something within you or something you can do to please Me. You can't please me. I'm not impressed with your good works. 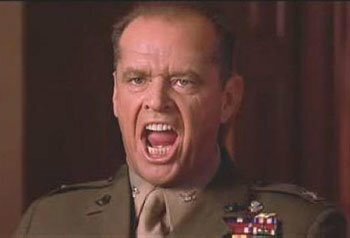 You have a disease, you are sick, you are dead." "He says it was supposed to. That's the point. Think about it…Jesus doesn't need your thanksgiving. Jesus doesn't love you because you say thank you or because you praise Him." "Wow, I guess I really am sick. So sick in fact, I don't know how – ooh, I hate to say it – sinful I am." "Yes, and God gave you that too." "The proper diagnosis of your sin. You are dead in trespasses. You are worse than those lepers. Those who are well have no need of a physician." "Well, it sounds like I need more than a physician." "You're right about that! You need a Savior." "I feel like a beggar, like a scum of the earth, like a double loser Samaritan." "The whole point of thanksgiving." "How do you figure? Why on earth should I be thankful for my sin?" "Because that's all you have to give to Jesus." "But who would want that kind of person, a poor miserable sinner?" "Yes. He loves sinners, especially the dead ones. That's where He does His best work." "Listen to the words of St. Paul: "The wages of sin is death, but the free gift of God is eternal life in Christ Jesus our Lord," and, "All have sinned and fallen short of the glory of God and are justified by His grace as a gift, through the redemption that is in Christ Jesus whom God put forward as a propitiation by His blood to be received by faith." "He did that for me?" "Yes, for you and for the whole world, 10 lepers and all." "Not just amazing, that's love. You see, God gives on the basis of who He is. And He does not stop giving. That's who He is; that's what He does, for you. He gives. He forgives. He saves. In fact, He doesn't benefit from our thanking Him." "Now you're talking crazy again!" "Nope, just Biblically. The more we thank God the Father through Jesus Christ His dear Son, the more we realize how generously and abundantly He deals with us." "So, we do give thanks!" "Yes, we do. But in its proper place. Thanksgiving begins and ends with the cross. First the gift, then the thanks. After all, what else can we say but Amen?" "I never thought about it like that. But what about our thanksgiving? What do we do?" "There you go again! Remember, God doesn't need your thanksgiving, or your good works, but your neighbor does." "So where do I give thanks and help my neighbor?" "No, vo-cation. Wherever God has called you: husband or wife; son or daughter, father or mother, pastor or congregation, employee or employer - the list goes on. In fact we have dozens of vocations." "Yea, thank God for the plumber!" "Indeed, thank God for toilet paper." "Ok, now you're getting gross." "Seriously. Thank God for toilet paper and all the other ordinary things in life: fresh squeezed orange juice, running water and turkey and canned-cranberry and football, well, maybe not the Lions, but you get the point, right?" "Yes, I think I do… it's our vocation to receive from Jesus every good gift He has to give us?" "Exactly. Couldn't have said it better myself." "Well, I should get going…I think I just heard the timer go off." "Sounds good…Oh, one more thing…before you fall asleep this afternoon, pull out your catechism…"
"That dusty old thing? I haven't looked at it since confirmation." "Well, it's good for you…so, turn to Luther's explanation of the 1st article of the Apostle's Creed. And remember, thanksgiving begins and ends with the cross." "Thanks, it was great talking with you." "The pleasure was all His… happy thanksgiving; enjoy the turkey; it's gotta be done by now. Oh wait…the static has cleared up on the other line. He has one more message for you. Here, listen, "Rise and go your way; your faith has saved you." In the Name of Jesus + Amen. Who fouled up the readings? What's going on here? Where's the burning of the chaff? The weeping and gnashing of teeth? It's the Last Sunday of the Church Year – we want some judgment. A little fire and brimstone's not too much to ask for is it? We need some flames to roast our chestnuts on as we launch into a four week frenzy – It might be the end of the world if I don't get this holiday list checked off - but not Good Friday. Jesus is the expert on beginnings and endings. And the Last Sunday of the Church Year is both. It may seem like you can't tell where the church year ends and Advent begins. But that's the way it should be. The church year ends as it begins: with Christ's second coming. This is why we celebrate this festival (or any other festival of the church) - Sunday of the Fulfillment. For the church year gives us the life of Jesus. And the life of Jesus is the life of the Church. The Sunday of the Fulfillment is the Church's Nunc Dimittis. We sing with Simeon – and the malefactor: "Lord, now lettest Thou Thy servant depart in peace; Jesus, remember me when you come into your Kingdom." This is precisely the right reading for the Sunday. No mistake. No liturgical faux pa; just a confession and a declaration: the Lord has delivered us from the domain of darkness and transferred us to the Kingdom of His beloved Son, in whom we have redemption, the forgiveness of sins. What does Jesus' crucifixion have to do with the Last Day? The answer's in the question. There's no bigger fulfillment. Jesus' Crucifixion is the central event of all human history. Everything in the world – your sin, the death of death the devil's defeat – all hang on that cross, on that crucified for you God-Man. Jesus goes as He promised. Jesus is also an expert on predictions. Sure, plenty of people make predictions –Heaven's Gate, Mayan calendars. But no one else backs them up by dying and rising from the dead. That makes all the difference. When Jesus predicts something, it happens. "The Son of Man must suffer many things. He will be delivered over to the Gentiles and will be mocked and spat upon and after flogging him, they will kill him, and on the third day he will rise." He goes there to die for those thugs – even those who reject Him. He dies for Peter who had denied Him three times. Remember, Jesus predicted that one too. And He goes there to die for you. For He knows your sin better than you know yourself. He knows that we live in a fallen world sullied by sin and corrupted in rebellion. We are both perpetrators and victims. On the one hand, we, like the Israelites in Malachi, see the wicked prosper while the righteous suffer; sinners everywhere we turn. We want judgment. We demand justice. Wait. Stop and think. Do you really want people to get what they deserve? What about you? Do we dare God to be fair in His judgment? Be careful what you wish for; you just might get it. And on the other hand, we languish under the curse of a poor miserable fallen world. Where families' lives are changed forever by disease or tragedy; where parents bury their sons or daughters; where infants die by the knife and life is treated casually or callously. There's a reason we call this a vale of tears. Weary heads. Droopy hearts. Disease. Accidents. Pain. Sorrow. Guilt. Death. We doubt, we fear, worry we tremble. "Why are you cast down, o my soul?" Come quickly, Lord Jesus. And He does. Jesus snatches us out of the pit of death by throwing Himself into it. There is nothing left outside His death. No one too sinful for Christ to save – not a thief, not a rebel, not a God hater, chief of sinners like you and me. And no judgment too harsh for Him to bear. No guilt, fear, disease or sorrow too heavy to carry. He goes the way of His own prediction, stumbling under our cross until Simon of Cyrene bears the burden as He staggers to the Skull. And when a place is called the Skull there's only one possible reason to go there. And He goes there for you. No wonder the women wail with lament. They weep for Jesus. But they weep for the wrong things. The days are coming, says Jesus, when one stone will be turned upon another, when they will say, "The shame of childlessness is better than the suffering that awaits the coming destruction of Jerusalem." Judgment is coming. The temple had to be torn down in 70 AD; it has been replaced in His own flesh. Its end is destruction, a type of the Last Day. Do not weep for Jesus; He needs no tears. Weep, rather, for those who reject Christ. See how the world mocks Jesus. Hear the criminal's arrogant cry: "Are you not the Christ? Save yourself and us!" The soldiers' spit, the crowds jeer, and the guilty mocks the innocent. But here's the irony, it's precisely through His suffering and mockery and shame and humiliation and death that we are saved. Guilty sinners find their eternal rest in those innocent wounds. Gaze upon those glorious scars, dear tokens of His passion. He bears them – along with His crucified, risen and glorified body - for an eternity of blessing you. The thief was half right. He is the Christ. But Jesus will not save Himself. He needs no Savior; you do. He will not pull Himself off those nails. He will not let you get what you deserved. That's how valuable, how precious you are to Him. It's not fair, it's free. It's not what you deserved; it's pure gift. It's justice you want? Well, it's justice Christ gets. Jesus is judged and you are innocent. That is how all things in heaven and earth are reconciled to God, by the peace-stained, blood-soaked cross. As the world curses Him, He is cursed for the world. As they reject His forgiveness, He forgives their rejection. Our mouths do nothing but curse Him; His lips do nothing but pray for us. "Father, forgive them, for they know not what they do." His Word and work of forgiveness bear fruit. The other malefactor gets it. Through Jesus' word He is transferred from the domain of darkness - on the darkest day of the world – into the Kingdom our Heavenly Father. Jesus' Word brings this man to faith: "Jesus, remember me when you come into your Kingdom." And there is Jesus in His Kingdom: crowned with thorns, enthroned on the cross, reigning as King of the Jews, just as the sign above Him read - for you, for the thief, for the world. The best way to be prepared for Christ's second coming is to look to His coming: His Word made flesh Advent among us. His watery Advent. His body and blood Advent. His "in the stead and by the command" Advent. Baptism is your: "today you will be with me in Paradise." Jesus' Word is as good with water as it was with that thief. It's no different when you're at the Lord's Table. We give Him sour wine and He gives us His very own blood to drink. And here in His body and blood He remembers you in His Kingdom. The question is not when will the end come, but who is the end? Jesus, the Alpha and the Omega, your beginning and your end; the firstborn from the dead. Lift up your weary heads. Watch for His coming. For Christ has already gone down the Last Day road ahead of us, through the darkness, through fear and guilt, shame and death and He's come through alive, risen from the dead. For most of us this fulfillment comes at death – unless you're taken directly into heaven like Elijah or Reepicheep into Aslan's country – and yet, until the Last Day comes, we rest in sainted slumber awaiting the day of resurrection, where Christ will awaken us from the grave as quickly as He awoke Lazarus from his 3 day dirt-nap. Fulfilling for you what is already yours in Him. He will breathe life into your rotting flesh even Jesus peacefully proclaims now, "Truly I say to you, today you will be with Me in Paradise." And that's one end times prediction you can trust. "Comfort those who sit in darkness, Mourning neath their sorrows' load. I could barely sing these words to (we'll call him) Sailor and his wife without tears as he laid in bed﻿, waiting. Waiting for the cancer to finish its cruel course. Waiting for His Day of Fulfillment. Waiting for death. Waiting, like Simeon, to die peacefully in Christ. Waiting for the promise. Waiting for fulfillment. Come, Lord Jesus; come quickly. Make haste, O God, to deliver me. Make haste to help me, O Lord. The Sailor family knows something about waiting. 13 years for a liver transplant. Today marks the 2 year anniversary of that day, a joyful day in the life of Mrs. Sailor. And now, 2 years later cancer moves like a plague through Sailor's body and they find themselves waiting again. In the words of the hymn, "he hath suffered many a day." And yet, even now His griefs have passed away. He has already died. Christ has marked him as his own in Baptism where God changes pining sadness into ever springing gladness. The Sailor Family also knows something about darkness and mourning for in these grey and latter days, death and grief accompany waiting. And yet, it is precisely in the midst of our bitter darkness, when the warfare appears to be too long, when the burden too heavy, the disease too painful, the coming loss so numbingly real - it is precisely there in the depths of our sorrow and poignant grief where our Lord comes. Calling sinners to repentance, Since the Kingdom now is here. Let the valleys rise to meet Him And the hills bow down to greet Him. Thy Kingdom come, we pray. And the King does not tarry. He comes. He advents Himself. At the bedside of a dying man through the steady, yet sorrow-filled voice of a pastor, through His word of absolution and consolation, through the mercy shown by a loving spouse - comfort, comfort. The end of the church year and the beginning of the church year are marked by waiting and fulfillment, hope and expectation are met by promise and consummation. Soon it appears that Sailor will see his own Sunday of the Fulfilment even as we await the final resurrection on the Last Day. 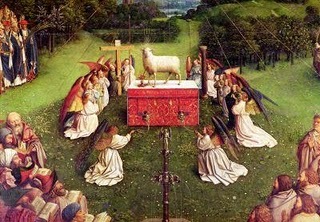 The Day of the Lord is a day of comfort, when cancerous, embattled bodies will be will be changed in the twinkling of an eye into resurrected, glorious bodies; livers will not need transplanting; loved ones will not need funerals; spouses will not weep for sorrow, nay, only for joy at the feet of the Lamb. Indeed, the dead are more easily raised from the grave than a slumbering teenager. "Arise," commands the Lord. You see, even the dead obey His voice. This is what our Lord goes to Jerusalem to accomplish, to fulfill, to realize - to pronounce: "It is finished...Truly I say to you - Sailor, to you Sailor's spouse, to you who struggle under the guilt of sin, the yoke of death, the tempter's rod, to all who suffer and are weary of this vale of tears - today you will be with me in paradise." And there is joy, even more poignant than grief. There is the eucatastrophe. Joy in the Crucified, the King, the Savior. Comfort incarnate. Consolation in human flesh. God for us, God who is one of us, God who is with us, yes, in death, and if he is with us in death, how much more will He be with us in the resurrection of the dead and the life everlasting. Amen, come quickly, Lord Jesus. "For we do not want you to be uniformed, brothers, about those who are asleep, that you may not grieve as others do who have no hope. For since we believe that Jesus died and rose again, even so, through Jesus, God will bring with him those who have fallen asleep. For this we declare to you by a word from the Lord, that we who are alive, who are left until the coming of the Lord, will not precede those who have fallen asleep. For the Lord Himself will descend from heaven with a cry of command, with the voice of an archangel, and with the sound of the trumpet of God. And the dead who are in Christ will rise first. Then we who are alive, who are left will be caught up together with them in the clouds to meet the Lord in the air, and so we will always be with the Lord. Therefore, encourage one another with these words"
Dooby dooby doo...NBC's The Office was the latest network show to roll up a big fat one and get high off the opiate of the masses, to paraphrase The Temp (aka, Ryan paraphrasing Marx, et al). Now, individually there were several "highlights" worth mentioning in Thursday's episode. It almost looked too politically incorrect - a christening (I know, what the bleep is that? ), at a seemingly Christian church on a Sunday morning. It almost brought back memories of the Waltons. I said almost. That is until the PC-dar went of at 30 Rock and they through in the priestitute just for good measure (that's right I said it)! Good night John Boy. O, good grief. Total relevancy fail. But more on women's ordination another day. That's too much theological depth for this post. Oddly enough, they did call it Baptism for most of the episode. Although in good Unitarian fashion, they conveniently left out those three not-so-little words - Father, Son and Holy Spirit (I know that's more than three - look out as my friends at the God Whisperers say, home-schooler warning! - but, dammit Jim, I'm a pastor not a mamathematician). Altogether, the cast of The Office mixed together one wicked bowl. Let's recap: Ryan thought made the stereotypical aforementioned quote. Daryl fell asleep in church. Angela, the cutest Pharisee around, wanted nothing more than to go to the temple to justify herself. Jim and Pam were in it for family, although it's hard to tell, really. Michael Scott, of course, was in it for the attention and emotional connection. Proof that theology of glory is about as empty as his business school transcript (and that's true whether you're talking about worship, Baptism, Justification or Sanctification or anything else). Why else did he get off that bus? And moving on...Stanley and Kevin were probably like a lot of people in church when the pastor preaches too long (gurgle gurgle gurgle), ready for lunch. Ryan couldn't help one more crack at the religophobes with a kool-aid reference. Which it seemed like there was something in the water at this "church." It was hard to tell if the marks really were there. And last but not least, Dwight was the one honest one in the bunch, peddling his goods out in the open. You see, this is how pop-culture likes to "do" religion: vanilla, or whatever flavor is true for you. (btw, the emergents probably loved this episode). Hollywood thinks religion is for dopes, unless of course they can make money off of it. Then it's fair game. And when they do bring it into parlance most of the time it's more of a commentary on how pop-culture views religion. But these are all caricatures. When it comes down to it there really are only two religions in the world. Free. And not free. Christianity and all the rest. Christ for you as rescuer, savior, deliver, Crucified and given for you in Baptism and His Supper for you for the forgiveness of sins. Or you can settle for whatever the culture and the Barnes and Noble religious section is tokin'. But when it comes to salvation do you need a swim coach? A cheerleader? A life-coach? There are plenty of guys with slick hair and smooth talking "sermons" for that. No, what we need. What we have is Jesus. Lord and Savior. So, when you are baptized - not christened or dedicated - you receive Jesus as Jesus is washing your sins away through the hands of the pastor. When the pastor places the bread on your tongue pours the wine in your mouth - you receive Jesus. When a man, called and ordained into the Office of the Holy Ministry, says, "In the stead and by the command of my Lord Jesus Christ, I forgive you all your sins," - Jesus is forgiving your sins. And that is no drug. That is medicine of immortality. That is the life-giving antidote to your chronic sin. The only way to "reform" the Old Adam is to kill him. It's not re-hab. It's just good ole' death and resurrection. Jesus would have it no other way. And He's done it all for you. In the end, I suppose all that this episode really proves is that when pop-culture goes religious, it's management is about as good as Dunder Mifflin's; in other words, Michael Scott is to Dunder Mifflin as pop-culture is to religious truth claims. Which is good, because our good works are about as good before God, as Michael Scott's are at the end of the work day. Don't believe me? Check out Romans 4:4-5. We really are the pirates who don't do anything. Thanks for reading...I'm gonna go grab a snack; hmmm, Cheetos. · Note: Both historical and legal systems depend upon consistent application of methodologies. Both systems attempt to establish what in fact happened. · The verification of Christianity: its truth or falsity depends on certain historical facts. · Standard protocol gives us results based on ordinary methods, not on opinion or emotional bias. · Any event that happened in History we can verify using normal procedures. If these methods are useful in establishing truth, then they’re helpful for any event. It is important to commit yourself to what is true. How do you determine that a document is historically sound? 3 tests. Bibliographic test. Has the document reached us in original condition? How accurate was the copying? a. Time between event and witness. b. Time between original document and extant text. c. Availability of manuscripts. Translations allow for cross references the meaning of a word or phrase. (Greek, Syriac and Latin. d. Textual Chain from complete catalog in 300s to whole books around AD 200, to lectionary readings, quotations and fragments that close the gap to a few decades. From the writing of John’s Gospel to the actual fragments that are in fact on display in museums there is a space of mere decades. e. Fredric Kenyon. Excess of evidence. P. 26-27 of History, Law and Christianity by John Warwick Montgomery. · For instance, Papias, writing in the 2nd century, states that Peter narrated the words and events of Jesus to Mark; thus, if Papias’ testimony can be trusted, the Gospel of Mark must predate the death of Peter (c. mid. 60s AD). 1st clement chapter 5 tells us Peter and Paul were both martyred. · Eusebius of Caesarea, states that Paul was beheaded in the reign of the Roman Emperor Nero. This event has been dated either to the year 64, when Rome was devastated by a fire, or a few years later, to 67. This is event not contested. The available information tells us that Peter and Paul died in the Neronian persecution. Acts Is largely a biography of Paul, and death tends to bring biographies to a close. So, Acts was probably written before AD 67 because Luke does not mention Paul’s death. Acts is part II of Luke, so part I was probably written even earlier. Jesus was crucified around 30 and Acts was written by 67. at most a few decades separate the Gospels from the events they are reporting. Most Scholars believe that Luke depends on mark. Matthew is tied to Mark and Luke. So the books of the NT were written within a generation of the life of Jesus. · No mention of the fall of Jerusalem in these materials. You would think that this would an important point for Jews to mention. a. Eyewitnesses or close associates. What do texts claim? Are the documents Trustworthy? Primary sources. It is important to determine whether or not the people who wrote the Gospels were there. Did they actually witness the events that took place? g. Aristotle says that one must listen to the claims of the document under analysis, and not assume fraud or error unless the author disqualifies himself by contradictions or known factual errors. a. Is there evidence that these texts were written by their claimed authors? Papias was a student of John writing in AD 130 and John told him that he wrote his own Gospel, Mark wrote Peter’s Gospel, Matthew wrote his own Gospel and Luke the physician and companion of Paul wrote his Gospel. i. Thallus AD 52: the sun was darkened during the crucifixion. · Matthew 27:45 Now from the sixth hour there was darkness over all the land until the ninth hour. · Mark 15:33 And when the sixth hour had come, there was darkness over the whole land until the ninth hour. Luke 23:44 It was now about the sixth hour, and there was darkness over the whole land until the ninth hour. ii. Pliny the younger AD 112: Christ was worshiped as God. · John 20:28Thomas answered and said to Him, "My Lord and my God!" · Mark 2:6 But some of the scribes were sitting there and reasoning in their hearts, 7"Why does this man speak that way? He is blaspheming; who can forgive sins but God alone?" iii. Mara Bar-Serapion circa AD 73: The Jews killed their king. · Matthew 20:18 "See, we are going up to Jerusalem. And the Son of Man will be delivered over to the chief priests and scribes, and they will condemn him to death. a) Christians were named after Christus. Acts 11:26 In Antioch the disciples were first called Christians. b) This Christus was executed by Pontius Pilate. Matthew 27:2 And they bound him and led him away and delivered him over to Pilate the governor. c) This happened when Tiberius was emperor. Luke 3:1 In the fifteenth year of the reign of Tiberius Caesar. d) This Religion began in Judea. Luke 3:1 Pontius Pilate being governor of Judea. v. Suetonius AD 120: Jews made constant disturbances at the instigation of Chrestus. Matthew 27:24 So when Pilate saw that he was gaining nothing, but rather that a riot was beginning, he took water and washed his hands before the crowd, saying, "I am innocent of this man's blood; see to it yourselves." vi. Josephus Jewish antiquities 20:9.1 speaks of James being wrongly killed for the faith. Acts 12:1About that time Herod the king laid violent hands on some who belonged to the church. 2He killed James the brother of John with the sword, 3and when he saw that it pleased the Jews, he proceeded to arrest Peter alvii. Rabbi Akiba began the task of arranging Jewish case law known as the Mishna. Akiba died in AD 135. The codification of the Mishna was completed in AD 200. The commentaries on case law are called Gemaras. The Mishna and Gemaras together are called the Talmud. The Jerusalem Talmud was completed around AD 300. the Babylonian Talmud was completed around AD 500. According to the earlier Rabbis. a) Jesus was from Nazareth. · Matthew 2:23 - “And he went and lived in a city called Nazareth, that what was spoken by the prophets might be fulfilled: "He shall be called a Nazarene." b) Jesus was a transgressor in Israel. · Luke 22:37 - For I tell you that this Scripture must be fulfilled in me: 'And he was numbered with the transgressors.' For what is written about me has its fulfillment." · Matthew 14:1At that time Herod the tetrarch heard about the fame of Jesus, 2and he said to his servants, "This is John the Baptist. He has been raised from the dead; that is why these miraculous powers are at work in him." · Matthew 4:24 So his fame spread throughout all Syria, and they brought him all the sick, those afflicted with various diseases and pains, those oppressed by demons, epileptics, and paralytics, and he healed them. · Matthew 9:34 But the Pharisees said, "He casts out demons by the prince of demons." d) He scorned the words of the wise. · Matthew 12:2 - But when the Pharisees saw it, they said to him, "Look, your disciples are doing what is not lawful to do on the Sabbath." · Matthew 15:12 - Then the disciples came and said to him, "Do you know that the Pharisees were offended when they heard this saying?" · Matthew 22:34 - But when the Pharisees heard that he had silenced the Sadducees, they gathered together. e) He led the people astray. f) Jesus said that he had not come to destroy the law but to add to it. · Matthew 5:17"Do not think that I have come to abolish the Law or the Prophets; I have not come to abolish them but to fulfill them. 18For truly, I say to you, until heaven and earth pass away, not an iota, not a dot, will pass from the Law until all is accomplished. 19Therefore whoever relaxes one of the least of these commandments and teaches others to do the same will be called least in the kingdom of heaven, but whoever does them and teaches them will be called great in the kingdom of heaven. · Matthew 5:21"You have heard that it was said to those of old, 'You shall not murder; and whoever murders will be liable to judgment.' 22But I say to you that everyone who is angry with his brother will be liable to judgment. g) He was hanged on Passover eve. · Matthew 26:2 - "You know that after two days the Passover is coming, and the Son of Man will be delivered up to be crucified." · John 18:39 - But you have a custom that I should release one man for you at the Passover. So do you want me to release to you the King of the Jews?" h) The charge against him was heresy. · Matthew 26:63-65 - But Jesus remained silent. And the high priest said to him, "I adjure you by the living God, tell us if you are the Christ, the Son of God." 64Jesus said to him, "You have said so. But I tell you, from now on you will see the Son of Man seated at the right hand of Power and coming on the clouds of heaven." 65Then the high priest tore his robes and said, "He has uttered blasphemy. What further witnesses do we need? You have now heard his blasphemy. i) His disciples healed in his name. · Acts 3:6 But Peter said, "I have no silver and gold, but what I do have I give to you. In the name of Jesus Christ of Nazareth, rise up and walk!" j) The Mishna also knew the names of 5 disciples. b. Authors were interested in speaking the truth, specifically concerning the resurrection. c. And they were able to do so through access to early testimony. d. Nothing in the early witnesses either hostile or friendly that contradicts the NT. But, external witnesses do corroborate NT presentation of Jesus with general details (by hostile witnesses) and with particular details relating to the resurrection (with Christian witnesses). 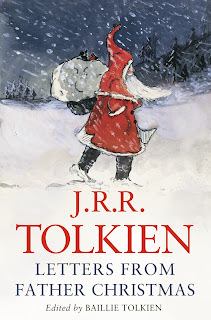 Since the halls of Wal-Mart and Target have been decked since August, I figured I would join in the ir-revelry with a few thoughts on Tolkien's Letters from Father Christmas. It's one of Tolkien's lesser known classics and worth the time if you haven't read it. There are even elves and goblins and red-gnomes in it for all the fanboys. Some parents try to perpetuate the myth of Santa Claus as long as they can, or at the very least, until some school yard prankster punks the unsuspecting child with the ultimate bubble-burster: "You believe in Santa! HA! He's not real." Some parents don't bother telling their kids anything at all about this mysterious, red and white clad, portulent fellow up North. Instead, they go for the rip-off-the-bandaid method and strike at the jugular of mythic men in strange suits - yes that goes for you too, Leprechaun, Easter Bunny, Diet Doctor Pepper Man, et cetera, et cetera, et cetera. And yet other parents just let the fad fizzle out like M.C. Hammer's career (and parachute pants), eventually the kids will figure out that it's bankrupt. Stop. Hamma time! No seriously. Stop, M.C. Hammer; no more Jay-Z videos. But J.R.R. Tolkien wasn't your average parent. In fact, he wasn't your average writer either. I still have a great deal to read about the Tolkien household and family life, so I'll withhold comment on the former statement in too much detail. 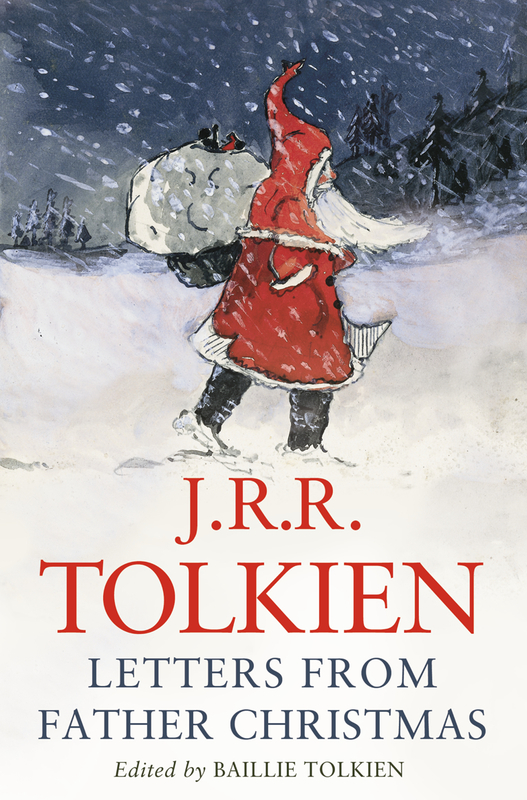 Letters from Father Christmas reveals a personal, maybe even intimate, creativity in Tolkien's early writing combined with the compassion and care of a loving father. For over 20 years, Tolkien's children - Michael, Christopher and Priscilla - would receive letters from Father Christmas bearing news from the North Pole, filled with narrations of blundering adventures with the lovable, yet bumbling Polar Bear (affectionately known in the letters as Karhu, or P.B. for short). Tolkien wrote because he loved the art of it, the work of sub-creation. He loved writing for people, but most of all his children. Which is why he also wrote, Roverandom - a story about a lost dog who meets a wizard and goes to the moon and under the sea - for Michael when he lost his precious lead toy dog on the beach. But that's another story for another day. So, where were we...ah, yes. Father Christmas. 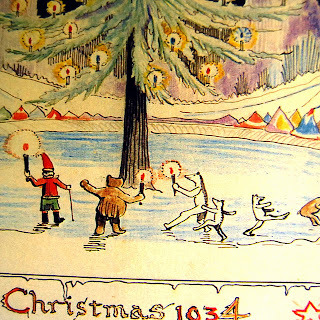 The artwork, the handwriting, the sketches of life in the North Pole - all done by Tolkien as well - were a yearly gift to his children. After all, he was the pen and the genius behind the letters. And as I read the letters, I began to wonder if there was more going on in the pages of these letters than childhood fantasy, charming prose and imaginative stories. Of course, those are all good and precious things in and of themselves. In fact, that was the main reason I picked up the collection of letters in the first place. I did not expect to find the work of "primary art" in this masterpiece of Tolkien's sub-creation. In the middle of the book, amidst the collection of water-colors and meticulously penned script was a post script. Now most of Father Christmas' letters ended with a P.S. But this one from Christmas Eve of 1934 was different. Blink and you might just miss it. I hope you will like your presents and be very happy. My best guess is that one of the children wrote a letter, as they had been accustomed to doing for some time, back to Father Christmas asking him how old he was. And in reply, Tolkien offered this unwittingly (although I think it was intentional) explanation of who Father Christmas really is. Now we all know the first Christmas wasn't really on December 25th. That came much later. But you can read about that elsewhere. Tolkien - and not so subtly either - identifies Father Christmas with Christ. And this makes all the difference. Yes, his stories were clever and witty, colorful and full of adventure - that is significant. But this little post-script is the point behind the point, the ultimate behind the penultimate (I think you get the point). Christmas - and in this case, the gifts from Father Christmas, or even the gifts we ourselves receive - are given to us precisely because of the first Christmas. But it goes beyond that. For the gift of the incarnation was not unwrapped in Bethlehem just to be tossed aside like any the Tickle-Me-Elmo so many of our parents stood in line for years ago. No, this gift was wrapped in swaddling clothes and laid in a tomb. Christmas is all about receiving. It is better to give than to receive - so that's exactly what our Heavenly Father did - He gave His one and only Son, gave Him as a ransom for us all, to redeem us, to give us eternal comfort, to gift us everything He has in simple water, performative words, dead-raising absolution and His Son's own body and blood, given and shed for you for the forgiveness of sins. You see, God loves a cheerful giver. What shall I render to the Lord, for all his benefits to me? You can bring him the only gift you have to give, your sin. And this too, He will take. He will exchange your soiled and sin-ridden, rubbishness of an old nature and create in you the new nature that glories, rejoices, even revels in offering the sacrifice of thanksgiving. For this sacrifice is none other than Christ's own sacrificial life being gifted and lived in your own life. Christ for you. Christ for the neighbor. To borrow a phrase from Lutheran theologian, Oswald Bayer, this is categorical gift. For He who did not spare His own Son but gave Him up for us all, how will He not also with Him graciously give us all things? He will. He has. He does...He has redeemed us, lost and condemned people, purchased and won me from all sins, from death and the devil, not with gold or silver, but with His holy, precious blood and with His innocent suffering and death, that I may be His own and live under Him in His kingdom and serve Him with everlasting righteousness, innocence and blessedness. And this is why He continues to give us gifts, from the ones our parents (or write in Tolkien's case) give us every Christmas, to the ones we're given every day by His gracious hand. Which is why we confess that God has made me and all creatures; that He has given me body and soul, eyes, ears, and all my members, my reason and my senses and still preserves them, not to mention clothes and shoes, etc. All this He does only out of Fatherly Christmas, divine goodness and mercy, without any merit or worthiness in me. This was Tolkien's hope and consolation and it it ours as well. Indeed, the birth of Christ is the eucatastrophe of man's history. 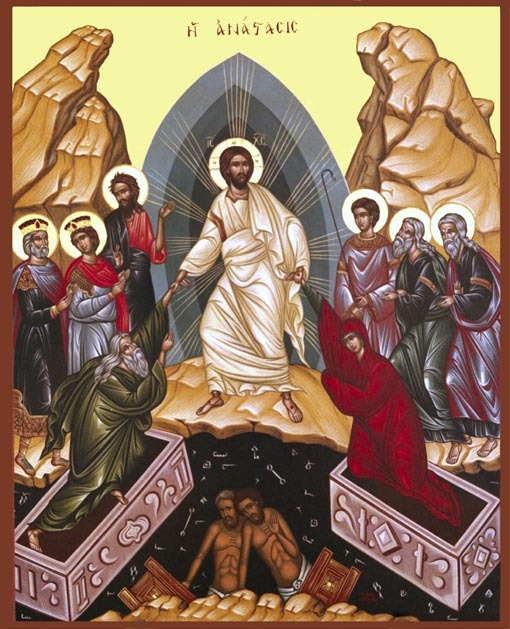 And the resurrection is the eucatastrophe of the incarnation. This story - along with Tolkien's and yours - begins and ends in joy. Thanks be to God who gives us the victory through our Lord Jesus Christ (1 Corinthians 15:57). How does one know which religious truth claim, if any, is true? Simple logic: IF Jesus is the one true God and the only Savior, THEN all claims to the contrary are necessarily false. Analytic: 100% true based on definitions. Synthetic: Probable, based on tangible evidence. "Meaningless": Can't be shown to be true or false; no way to test. Only Christianity is synthetic, because its central claim is inseparably linked to history. It can be falsified by making a strong case that Jesus never rose from the dead. This is a good thing. It separates Christianity from both analytic and meaningless claims to truth. This is also how Paul argues in 1 Corinthians 15. Are the Gospels (Matthew, Mark, Luke and John) trustworthy records of history? A: Yes. Authorship of MSS (Manuscripts); dating of MSS; accuracy of MSS. Aristotle's dictum; are there any contradictions? What does Jesus claim in the Gospels? A: God Almighty in human flesh come to save the world by His death on the cross. How does Jesus prove it? A: By physically rising from the dead. If Jesus didn't rise from the dead, what happened to his dead body? Does Jesus' body still sit in a grave somewhere? Wrong tomb visited? Placed in an unknown tomb? Hallucinations/visions? Spiritual resurrection? Did someone remove the body of Jesus? Stolen by disciples? Taken by Roman/Jewish authorities? Passed out? He faked death? The evidence simply does not support these theories. What is Jesus' view of the Old and New Testament? A: It is/and will be God's Word. Stay tuned for a longer sketch of the historical argument coming soon to E-nklings. For a more thorough examination of the historical argument, try reading History, Law and Christianity and Tractatus Logico Theologicus by John W. Montgomery. Or for a similar, shorter, albeit no less scholarly and well reasoned argument, see Religion on Trial by Craig Parton. This is most certainly true.